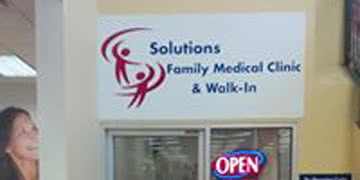 Solutions Family Medical Clinic & Walk-In is a walk-in clinic in Dartmouth, NS. The clinic is located on Portland Street inside the Atlantic Superstore on the main level. There is an onsite pharmacy and plenty of parking for your convenience.